Bill Bryson follows his Appalachian amble, A Walk in the Woods, with the story of his exploits in Australia, where A-bombs go off unnoticed, prime ministers disappear into the surf, and cheery citizens coexist with the world's deadliest creatures: toxic caterpillars, aggressive seashells, crocodiles, sharks, snakes, and the deadliest of them all, the dreaded box jellyfish. And that's just the beginning, as Bryson treks through sunbaked deserts and up endless coastlines, crisscrossing the "under-discovered" Down Under in search of all things interesting. listening to two men sitting in a rowboat on a large, placid lake on a day when the fish aren't biting; it's like having a nap without losing consciousness. It actually helps not to know quite what's going on. In such a rarefied world of contentment and inactivity, comprehension would become a distraction. Being both an owner of every Bill Bryson book in print, and a patriotic Australian, I couldn't believe my luck when I found this book had come out. I currently live in the USA, so it was interesting to see an Americans point of view on Australia. Bryson's insightful views on the country avoid stereotypical characterisation of the people and places, and he mixes his accurate and always relevant research perfectly. I learned things about Australia that I didn't even know, and being one of those much discussed Australians who first see the world before even regarding travel in their own country I realise how much of my own country I have ignored. In my opinion, this is better than 'Walk in the woods', which I found drifting and aimless in sections. 'In a sunburned country' nearly heads in the same direction, but saves itself with constant changes in scenery and the method with which he covered the country. Maybe I am biased because of the subject matter, but it is a great read. If you are going there, get the book and read it on the plane. 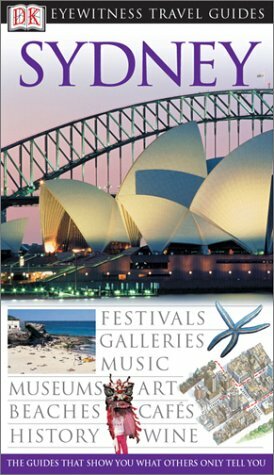 You'll get a much better understanding of what the country has to offer than by reading a guidebook to Sydney. And, Bill, if you are reading, thanks for not mentioning Fosters, Paul Hogan or 'Shrimps on the Barbie' even once. That's how you'll feel once you read this book. Despite the fact thatAustralia is one of the most dangerous continents on earth (if not the most dangerous), you will still feel the pull to visit and, possibly, become a resident. The book recounts Bryson's assignment to essentially circumnavigate and criss-cross Australia, reporting on its people, its sights, and its culture. At each city or site he visits, he humorously recounts why its well known, who died there and why (for some odd reason, people keep setting out to cross the Outback and are never heard from or seen again), and what he found interesting about it. Bryson points out the many dangers of Australia. Among them, of the ten deadliest snakes in the world, all ten happen to reside in Australia. For whatever reason, Bryson's writing style grabs you and pulls you. Almost like a thriller where you can't wait to get to the end, you'll fight falling asleep as you read late into the night while trying to find out what oddity he is going to encounter next in his travels. Highly entertaining, informative, and recommended. Bryson's best book is "Notes From a Small Island," about traveling in Great Britain. It's one of the funniest books I've read. The British are funny, and Bryson knows them well after living in Britain for 20+ years. 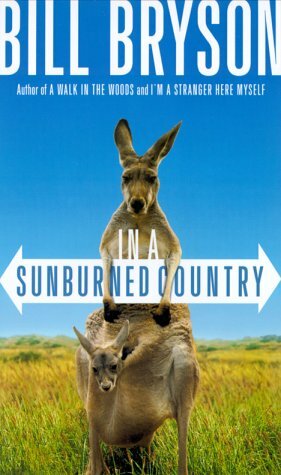 His book about Australia, "In a Sunburned Country," is also entertaining. He studied Australian history, met many interesting locals, etc. After reading it, I feel like an expert on Australia and its people. His book about Europe, "Neither Here Nor There," isn't so good. The problem is that he speaks no languages other than English. He didn't talk to anyone on this trip. Wwithout any characters (other than Bryson) the book isn't engaging. The book has only one joke, which he repeats: "The waiter/hotel clerk/taxi driver didn't speak English so I tried to make him understand that I needed..." Some of these moments are quite funny, but they don't constitute a book. Bryson didn't study the places he visits. Unlike the Australian book, you learn almost nothing about the countries he visited. Bryson's book about America, "I'm a Stranger Here Myself," failed to make me laugh. It reads like a series of Erma Bombeck columns. Bryson comments about various aspects of his life in a small town in New England. Not other people's lives, which might have been interesting, but only about his domestic life. I got only a few chapters into his book about the Appalachian Trail, "A Walk in the Woods." I wasn't amused that two people with no backpacking experience would attempt a six-month hike. After several chapters of Bryson repeating one joke -- "I know nothing about any of this!" -- I stopped reading. This suggests that the old advice "write about what you know" is worth following. It also made me realize that traveling is only enjoyable if you do two things: meet interesting people, preferably by speaking their language; and studying the area you're visiting. Review by Thomas David Kehoe, author of "Hearts and Minds: How Our Brains Are Hardwired for Relationships"
Speaking as an American who moved to Australia a year ago to live and work, I was instantly curious about this book after a friend recommended it to me. I thought it might be interesting to read another American's perspective on what it's like to experience this far away country that I've decided to call home. First off, let me say that this book is an extremely easy and entertaining read from cover to cover and I never wanted to put it down. Bryson has a great writing style and he has a way of making you feel as if you're right there along side him as he travels the country, exploring the countryside and it's people. He travels far beyond the traditional tourists spots that most visiting Americans stick to when coming to Australia on vacation - namely Sydney, the Great Barrier Reef, and the Gold Coast, although his passages on these places are just insightful and funny as anything else in the book. Bryson obviously did his research when he gets into the history behind these far flung places that dot the landscape of this vast country. He never bores you, and he has written a book that seemlessly blends historical fact with observational humor and brutally honest storytelling. I found myself nodding and laughing out loud at so many of his observations about the people, having experienced so many of the same things firsthand when I first arrived here. I feel the Bryson hits the nail right on the head when he speaks of Australia as being a place where interesting things happen all the time.I agree wholeheartedly with him that it's unfortunate that this country 'down under' seems to go largely unnoticed by the rest of the world. 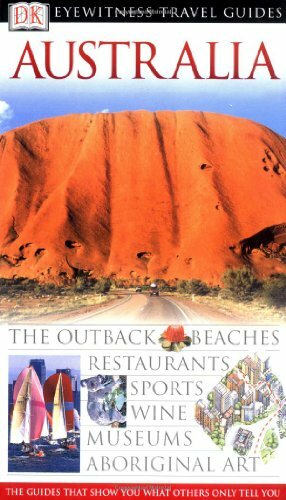 This book will give you more insight into Australia then any garden variety travel book. This book has heart, humor, and brutal honesty (the latter being what most standard travel books lack. They want to make you think that every single place in a country is worth your time). If you've ever been curious about Australia I highly recommend this book. 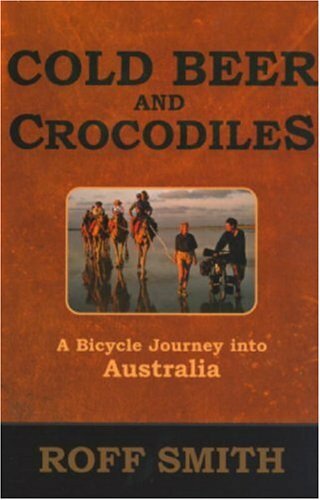 If you plan on visiting Australia in the future this book is definitely a must have. It will make you wish you were in Australia that much more. It truly is a special place and Bryson's book conveys this brilliantly. "Australia is mostly empty and a long way away. It's population is small and it's role in the world consequently peripheral. It doesn't have coups, recklessly overfish, arm disagreeable despots, grow coca in provocative quantities or throw it's weight around in a brash and unseemly manner. It is stable and peaceful and good. It doesn't need watching, and so we don't. But I will tell you this. The loss is entirely ours." Fascinating presentation. Feels like you're actually there! I've seen many travel books, but the Eyewitness Travel Guide is in a class by itself! The pictures, maps, and illustrations are so vivid they give you the impression you're actually visiting Australia. This is more than a reference book--it's entertainment. Eyewitness continues to provide outstanding guides as seen in the recent guide to Australia. This book combines pictures, 3D Layouts of important buildings and museums, street maps of Sydney and Melbourne, plus a helpful section on accomodations and restaurants. For my money, eyewitness produces the best travel guides on the market. As a result of spending a summer in Australia, I own numerous travel guides about the country, and this one is one of the best. If you, like me, need color pictures in your travel guides, then you won't want to miss out on this guide. The photography is extensive and wonderful. The book is divided into multiple sections, each covering a specific region of Australia. There is a brief overview of each region, and then the book lists multiple attractions in that region, with a brief description of each one. At least half of the attractions listed have photographs, and buildings such as museums and government buildings usually have photographs of the interior and the artwork inside. Each attraction also lists the telephone number, opening and closing hours, and the rail/bus/subway stop that you will need to use. At the beginning of the book, there is a brief history of Australia, and information on traveling around the country, money, food, etc. is at the end. The book does list some hotels and restaurants, but does not really cater to the budget traveler (buy Let's Go for this). The book also does not have extensive maps, so don't count on finding those in here either. I always buy multiple guides when I travel, so this was not a problem for me, but I can see how it would be for some people. Even though the price is a bit more than some other guides, I would not miss out on buying this book, or any other Eyewitness Guides. I consider them an absolute necessity for travel, and one of the best series out there. When I traveled in Australia I took a number of books and probably this is wise. I first discovered these books (a series Eyewitness Travel) by accident in a Stockholm bookstore. I had just come from Gothenborg by train and was a bit dazed. The book I bought by accident was in swedish but was still useful because of all the photos, cut away views, museum pictures, and maps and historical details. That is how good these books are! In general terms I think these are the best books on the market. They are great supplemental sources. The photos and descriptions and cutaway drawings are excellent. Plus they throw in some history with a time line of major historical events and details on the art and many other things of interest. A solid 560 page effort - lots of stuff to see and absorb and this is one of the larger books in the series. The book has most of the information found in other books or more. But what really differentiates these books from others is the outstanding photography. It is impressive. The book brings the trip to life with just magnificent photos and maps. What I suggest is this book but make travel reservations on the web plus maybe buy a smaller book or maps of other places and parks of interest. 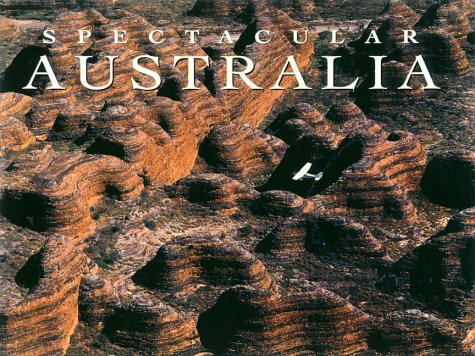 I bought an extra books in the Lonely Planet Series "Australia" and "Outback Australia" from Little Hills Press". These were also good books and considereing the cost of the trip and the 24 hours of flying, a small investment. Finally when you buy the book it is not 4 to 5 years old. The books are constantly being updated. Highly recommend. Sun-kissed beaches, the dramatic Red Centre, the spectacular beauty of over 500 national parks, and some of the friendliest people in the world--discover all this and much more with this bestselling guide to the Land Down Under.We know Australia better than anyone--uncover its secrets with us. I prefer the better graphics of the Eyewitness Travel books. But having said that this book is a solid effort over 1000 pages with lots of local detail, good quality photos and maps. It contains sections on things to see and do, history and native art. It has a lot of nature photographs. There are lots of things to see in the book including hiking, caving, camping, hostels, shopping, art, water sports, performing arts, nature reserves and parks, and good details and maps on all the major cities. In this market there are three or four similar books. 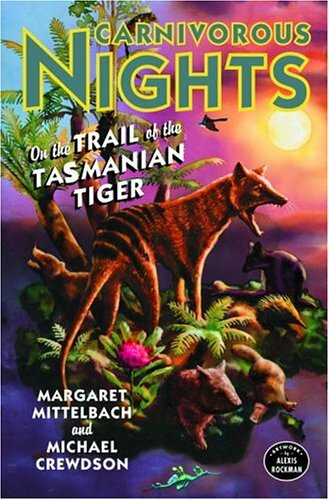 Plus there are other books just on the Outback and the cities. Australia is a big place and 1000 pages covers everything just at the surface level and just briefly, so I would recommend more than one book and possibly some maps to supplement the other books. Also read Bill Bryson's book "Down Under" for lots of local color and tips. Again Australia is a big place and 1000 pages does not do the country justice. It is what you would expect from Lonely Planet - and it is a good reference book to plan the trip. Well, I got the last edition of the book when I was researching my honeymoon to Australia. I thought that with a book that encompassed the entire country it could help me narrow down where we wanted to travel. I found that this book is more geared to the backpackers or very cost-aware traveler. So, for our honeymoon, when we were looking for luxury and to splurge it wasn't the best. But, it may have what you are looking for. Also, the format of this book is divided into sections of the country and then the various lodging, restaurants etc.... but it has very long descriptions and small print and was too much information for us at the time. I made a mistake and bought the Essential New Zealand AAA guide before I had discovered this series. That was an error, that book is very short and lacking in most of the details. I think the best two books are this and the Lonely Planet book. I prefer this book because the phots and graphics are just outstanding and the pictures jump off the pages. The book has good maps, restaurant guide, some accomodations, culture, history and more. Again the best thing is the photos. But the book includes cutaway drawings and history/political time lines. Just a great book. Use this book with the local telephone directory plus I recommend an up to date trail/road map(s). I spent over 6 weeks traveling in New Zealand, driving from the Bluff in the South to the Cape in the North, and this Guide proved to be very useful. It is better illustrated and more narrowly focused on top attractions than the Lonely Planet which i used on my previous trips. The Lonely Planet was also excellent, and it was better on history and geography, but this Eyewitness Guide made choosing easier. Highly recommended. 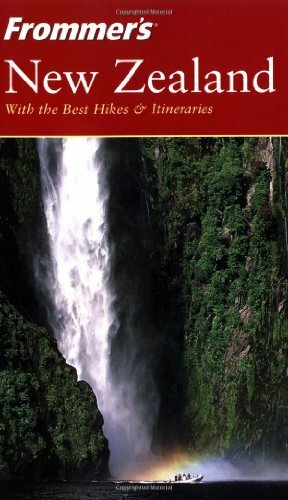 My husband and I are planning a trip to NZ and this book has everything! The photos are wonderful and layout of the book lends very well to designing a travel itenerary. There are maps of everything, from a map of the entire country to very detailed maps of specific tourist sites. The only other thing you would need is a detailed road map of the country. As an airline employee, I have found my new bible. This book is an excellent (pictoral) reference guide, skipping the usual 2 page historical write up on every attraction. It is very concise, has pictures of the area/attraction with an accurate two paragraph description of the place depicted with maps included. I purchased two other New Zealand books prior to this one, and borrowed 5 additional ones from a friend. This book was equivalent to having all 7 books in one. I would give the book a '10' if it contained the hours and admission prices to the attractions/events, however, it does not. I would also recommend to venture beyond the hotel/restaurant section listed as we found many fine establishments beyond their limited list. A great line of books to have if you want a quick overview of things to do in other countries. Once you've determined what to visit, then purchase the book with the historical write-ups. The most used of 3 guide books we took with us to Tahiti. Jan Prince's Tahiti & French Polynesia Guide was a great resource to have with us on our trip to French Polynesia. The restaurant and tour references were the most up to date and accurate of the three guidebooks that we took along. We used this book 90% of the time. It was very evident that the book was written by someone that lived in the area. We followed some of the hints on places to see and things to do that were not mentioned in the other guidebooks that we brought along, and could only be known by someone intimate with the area. My wife and I first went to Tahiti in 1976.Since that time we have bought land and built our vacation home on Moorea,and will always love French Polynesia.We have read almost every guide book ever published and Jan's book is at the very top of the list.Don't go to Tahiti without it as it covers all the questions you will have.This book is much better than the coconut radio for information. This wonderful book has been highly recommended by my Tahiti specialist Jean-Louis aka Meherio from FlyTahiti.com. 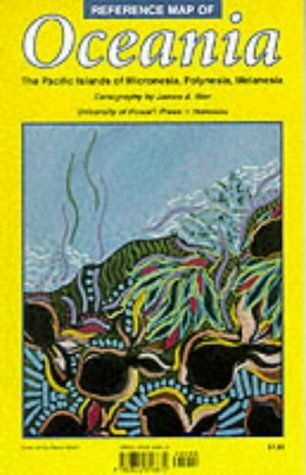 The suggestion to purchase this book was found on Polynesianislands.com Tahiti forum with many similar recommendations from long time Tahiti travelers. According to our travel agent, this book could almost have been the only thing to pack prior to our trip with the children, great advice and suggestions that helped us to keep within our family budget and maximize the fun. We also loved the restaurant suggestions on Moorea like, Le Bateau restaurant or the children's favorite, the Aito restaurant near the Sheraton. This book stays on my desk in the office as to keep our promise to return and try the Fare Hamara which we could only see from the road, as it appears to be the true flavor of life on Moorea by Bali Hai! This book is must for any traveler to read before and after visiting Tahiti and her islands! Jan Prince has done it again! if not even better yet ! As a tour operator specializing only to the South Pacific and Part time resident on the island of Moorea, I still find out about the lesser known secret restaurants , activities or those unknown properties on the lesser known islands. 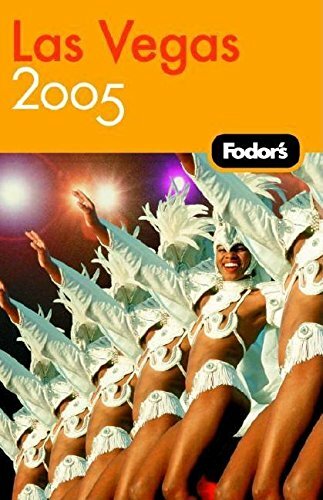 I recommend to my clients at flytahiti.com this book to prepare for their great and unique vacation to Paradise ! Written by a New Zealand resident, and full of personal insights and opinions, this guide takes you to one of the world’s most exciting ecotourism destinations! It’s much more complete and in-depth than its major competition. If you really like to vacation, the best way to do it is B&B's. When my wife and I vacationed in NZ, we stayed in B&B's for 80% of our trip. Skip the big cities. Auckland is ok. But the pearls in this vacation are found when you travel by car. To the small cities. Across this geographic treasure. Here's better advice than Frommer can give: stay with the locals and learn the culture. Kiwis love Americans. While staying on a ranch B&B, our hosts grilled fresh fish, created an incredible smorgasbord of fresh meats and served local brew. They invited their neighbors (about eight in a 10 mile radius) and asked my wife and I to "talk about the States." Price of the dinner for the two of us: $25 US. At another small home, our hosts provided us with a five course meal, dessert and wine for about $20 each. While we ate our scrumptuous meal, we listened to our seasoned hosts as they recalled childhood stories of growing up "just over that hill." There was a large picture window overlooking their personal rose garden. About a mile away, a series of rolling green hills. Sheep grazing. The view was as pristine and peaceful as any I've seen in all my travels. When we were done with dinner, our hosts took us into their rose garden and proudly gave us a tour of their aromatic flowers. Our hosts were 75 and 77 years old. Frommer doesn't give much credit about the B&B's in NZ. You'll need at least two weeks to enjoy the country. We stayed two weeks (one week on the north island and one week on the south island), then finished up with a flight to Australia to dive the Great Barrier Reef. The south island is best. Aside from our bungee jumping (269 feet) near Queenstown, we took an exciting raft trip in Dunedin, saw the Yellow Eyed Penguins in Otago Peninsula, and were entertained by the flying Albatross at the Kaikoura Peninsula. Spectacular! The New Zealand Bed & Breakfast Book by James Thomas offers more opportunities to enjoy this beautiful country. In the best possible accomodation - the New Zealand B&B. Are these reviews really for 2nd edition? 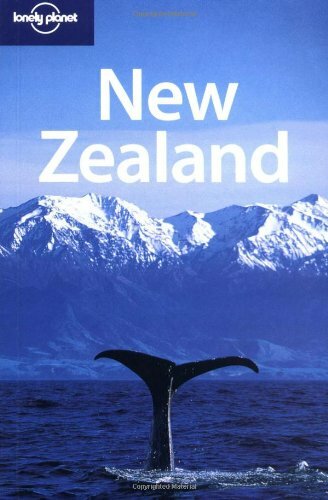 As a first time vistor to New Zealand, I found this book to be extremely helpful. It provided an informative overview of the country, and the various recommendations for accommodations and travel services were, for me, very reliable. I used it constantly both before and during the trip. This guide is an excellent introduction to New Zealand for the first-time traveler. The organization is helpful and the area details are of great value in planning self-guided itineraries. We were able to focus our two weeks in the country on areas of particular interest because of this guidance. Very complete overview of Australia, which is not realy a country, but an entire continent, with various climates and landscapes. Phillip Mathews has done a great job describing the history, the people and nature of this country, and the accompanying photos are excellent. Some of the fold-out panoramas are nearly three feet wide, and vividly sharp. The book also includes a large number of areal shots, which give an unusual view of some of the remote areas, which are still impenetrable for the regular visitor. It's not every day that a fellow decides to pack in a good job, pack up his saddlebags, and set off by bicycle to make a circumferential journey around Australia. In 1996, that's just what American-born Time magazine correspondent Roff Martin Smith did, though; as he explains, he'd been living in Australia for 14 years but didn't really know the country, and he "felt no emotional bond to it." About to turn 38, a few pounds over his ideal weight, and untested as a distance bicyclist, Smith faced up to considerable odds, but he survived to tell the tale. And a rollicking tale it is, as Smith meets with an odd assortment of humans and critters along his sometimes torturous path. (One all-too-long stretch of road, for instance, he calls "the most dangerous and frightening I've ever had the misfortune to ride: a suicide run of hammering trucks, heavy construction, muddy detours, and lane closures.") Smith logs time in crocodile country, too, in the far northern Australian rainforest, where he counts the awful moments until antediluvian doom strikes. It never does, and in any event the crocs are nothing compared to the errant sheep, emus, kangaroos, and death adders he encounters, to say nothing of the 108-degree gusts euphemistically referred to by local weathercasters as "sea breezes"--none of which poses quite the dangers that his fellow humans offer out on the beery highways of Oz. Difficult though the journey is, Smith keeps up his good cheer throughout these lively pages, and, if he's not quite unflappable, he's certainly a sympathetic narrator. If I could summarize this book in one sentence, it would be 'Blue Highways in Australia on a Bicycle.' Roff Smith's writing style and general outlook on people and the road is very similar to William Least Heat-Moon's classic novel, Blue Highways, and as such if you liked that book, you'll enjoy this one. The book is more of a 'describe the interesting people I met and places I visited on my spiritual journey' travelogue book than it is a humor book; in fact, it's rarely funny. If you're looking for something similar to Bryon's In a Sunburned Country, you'll likely be disappointed, and I recommend that book or Tony Horowitz's One for the Road instead. Traveling with all the chunder left in. Roff first covered his trip around Australia in a three part series in National Geographic a few years ago. It was a find to discover he had written an entire book on his journey since cycling around a country roughly the size of the United States should produce more material than just three magazine articles. It's not quite the same prose either, so if you did read these articles, you're not reading a reprint. "Cold Beer and Crocodiles" is a poor title, especially when Smith's account proves there is so much more to Australia than the two. He does an excellent job of describing the different climates he rides and lives through. Just as skillful is his portrayal of the various Australians he meets along the way. I spent several months in the country a few years ago, so I can relate to their overwhelming hospitality and generosity (most). As few truly unfriendly and hostile Australians as I met, I'm glad Smith wasn't afraid to mention the few he came across. They're such a small minority, especially if you consider a similar trip made around say the US. A small number would be so open to a strange cycling by their homes. Traditionally, Australians are used to strangers traveling through covering the vast distances in search of work. Even so I think Smith fortunate to get a rare glimpse (for the rest of the world anyway) into an outback station, several, and we're lucky to read about his other experiences. His balance between the positive and negative provides a wonderful narrative of his trip. I agree with other reviewers the book winds up extremely quickly, and he skips through and by several places worth commenting on. He barely writes about this trip in Tasmania. 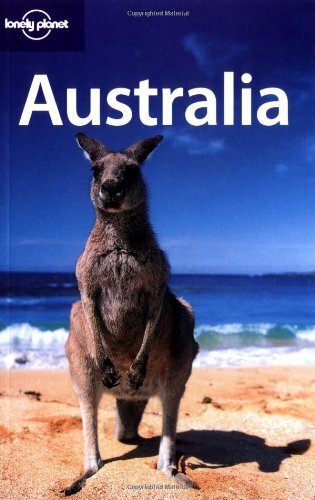 But this isn't the Rough Guide to Australia. What is mentioned and left out is entirely up to the writer. 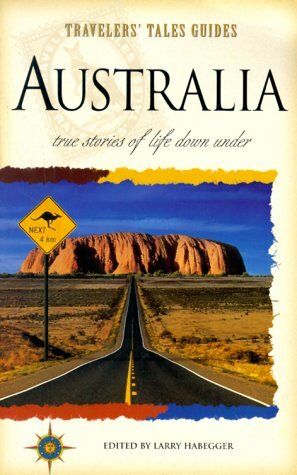 There are several other books on travel in Australia, such as Bryson's "In a Sunburned Country" to give a different spin on Oz. Cold Beer and Crocodiles (crocodiles barely feature at all!) 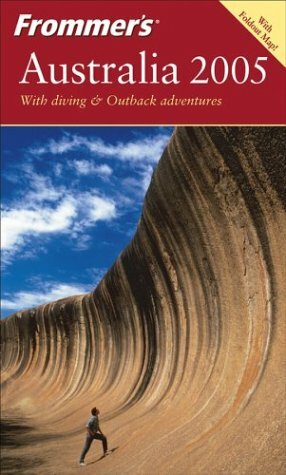 is an excellent travel adventure which will appeal to anyone who cosily enjoys the vicarious experience of someone else battling to survive in an extreme landscape : in this case, the Australian Outback. Having lived in Australia for 15 years without developing any emotional attachment to the country, Roff Smith quit his job at Time magazine to undertake a mammoth 10,000 mile round trip of Australia, his rationale being a desire to try to engage emotionally "with the country I'd lived in as a stranger all these years". His chosen mode of transport, a 21 speed touring bicycle would let him get close to the land, experience Australia, its sights, sounds and smells. In the early stages, Smith expends much pedal power shaking off the Sydney suburbs and running the gauntlet of heavy, aggressive traffic. City and suburbs sloughed off, six months of gruelling Outback travel follow : its when he hits the furnace of the Outback that the words blaze off the page as he is plagued for months on end by flies, thirst, dust, scorching heat and feelings of loneliness ; is overtaken by huge triple roadtrains barrelling down desert highways ; witnesses spectacular thunder and lightning desert storms ; bivouacs in scrub under night skies "full of stars as sharp as needles"; works in sheep and cattle stations; picks melons ; visits an Aboriginal Community; duels for weeks on end with the vast, hostile expanses of empty reddish plains baking under the blistering sun - "so much nothing out there...just miles and miles of nothing" .Surviving to the next roadhouse is the order of each day! On his travels, Smith encounters a mixed bag of people ( a few dodgy, most helpful) often in remote roadhouses, isolated settlements or outstations hundreds of miles of sand, scrub and spinifex away from the nearest town. If the thought of living on the edge appeals to you, read this book. Now try "One For The Road" by Tony Horwitz, another equally good travel venture into the Australian Outback but this time from the very different perspective of a hitch-hiker. Both books strongly recommended! ...but I wouldn't have wanted to have been there with him. The author does an exceptional job writing up the landscapes, his experiences and thoughts. I was captive. I didn't want this book to end. As other reviewers have stated, the only flaw is that we would have wanted more detail, more information. If ever there is a second edition, I will be among the first to buy the book. I would love to take the trip again, looking for more details in every encounter and circumstance. I highly recommend reading about this painful, enjoyable, amazing journey. During my two big trips through the South Pacific, I always had one of David Stanley's guidebooks in my backpack. Stanley has been writing guidebooks to these islands for almost 25 years. 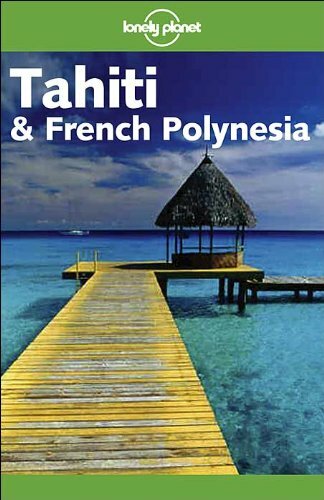 Like his other Pacific guides, this fifth edition of Tahiti Handbook (which includes the whole of French Polynesia, the Cook Islands and Easter Island) is completely packed with information for the traveller. While planning, Tahiti Handbook will help you find out which islands will be more interesting, easier or cheaper to visit. Stanley gives a good idea of what to expect in the islands, while you can still have a great adventure and discover things on your own. In the Pacific, this guide will save you money and trouble. Following Stanley's advice to sleep at Tahiti's airport when arriving at night, to wait for the early morning bus instead of taking a taxi to your hotel, will already save you the cost of the book. Accommodations of all categories are described, often including critical commentary. The same applies for restaurants and organized activities. Stanley identifies with any kind of traveller. He answers almost any possible question to arise on other travel matters. I haven't used this edition of Tahiti Handbook in the field yet, so I can't say much about the accuracy of the travel information inside. However, during my trips through the islands, Stanley's information usually proved reasonably up-to-date. You can never expect everything to be correct, Stanley admits that. For every new edition of his guides, he makes a research trip to check the places listed in his book. On these trips Stanley arrives unannounced and tries to identify himself as little as possible. This way he is better able to experience a place like any other traveller. For this fifth edition of Tahiti Handbook, the Marquesas and Easter Island were visited in addition to more regular places. It would be nice to know what islands were exactly visited. If you feel some information is incorrect or missing from Stanley's guide, you can write him and he will seriously look at your comments. The chapters on history, people and places and the references in Tahiti Handbook are an excellent starting point to learn more about Eastern Polynesia. In my opinion, some more attention could have been given to the language section: an extension of the Tahitian and French section and adding Cook Islands Maori, Spanish and Rapanui. 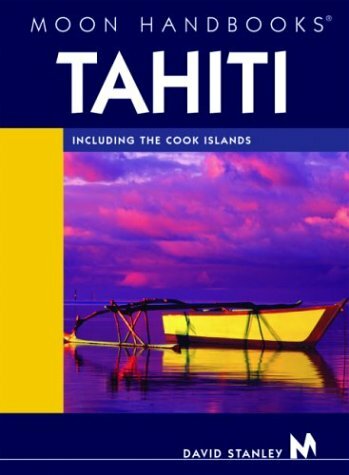 Since the previous edition of Tahiti Handbook, the Cook Islands and Easter Island are also included, without making the guide too thick or expensive. The only I only place I miss in Tahiti Handbook is Pitcairn. Since it lies between French Polynesia and Easter Island, you would expect it to be included. It does receive more visitors than islands like Puka Puka or Maiao these days. For information about Pitcairn, you need to get Stanley's South Pacific Handbook. You can find 56 maps in Tahiti Handbook, including ones of more remote islands. Of the main islands; there are detailed maps of towns to show accommodations, restaurants, offices and more. The atolls of the Tuamotu Archipelago are a bit underrepresented. But since these are mostly thin necklaces of land, this is not really important. In general the maps in Tahiti Handbook are fine. Only the coloured map and the index map at the beginning of the book could be better: the lagoons of the coral atolls have all been coloured in like land. There are not many photographs in Tahiti Handbook: two coloured ones at the beginning of the book and a handful of black and white ones throughout the book. Without doubt this helps to keep the price of the book down. Also, you don't really need photographs here: Stanley's writing will bring Polynesia to life for you. Despite some small critical notes, I still give Tahiti Handbook five stars. There is nothing to match this guidebook. Take it when you go to French Polynesia, the Cook Islands and/or Easter Island no matter what your budget or style of travelling is. David Stanley's Moon Handbook, Tahiti: Including the Cook Islands, is one of the most depressing books I have read. As a travel writer myself I picked up the book to help prepare for an upcoming trip and this guide is so good, the world certainly doesn't need another one from me. However, having lived in Vanuatu and traveled many times to Fiji, I'm familiar with David's other guides and I anticipated excellence. "A wise traveler soon graduates from hearing and seeing to listening and observing. Speaking is good for the ego and listening is good for the soul." This book is a shortcut on the road to becoming a wise traveler. This doesn't mean it is all about getting off the beaten track. Tracks become beaten because there are worthwhile things to experience and they should be taken. David provides the 'must see' highlights as well as information for those willing to explore further. Being a wise traveler is more about attitude than itinerary. As David says, "If things work differently than they do back home, give thanks - that's why you've come. Take an interest in local customs, values, languages, challenges and successes." Another undercurrent is David's realism and commitment to the environment. He pulls no punches, whether they are aimed at the countries who used this region for nuclear testing (particularly the French) or at those who pillage the Pacific for piscatorial pleasure - "spearfishing (is) like shooting a cow with a handgun." Allow a few extra dollars in your travel budget for this book and it will be an investment. The reward you will gain from your travels to this wonderful part of the world will be enhanced immeasurably. David Stanley has a wealth of personal knowledge of the South Pacific, and it shows. This comprehensive guide to French Polynesia, Rapanui, and Cook Islands is a must for anyone planning to travel to these exotic tropical paradises. Covering everything from history to present day conditions, from the practicalities of getting there to getting around, he tells it like it is. No matter your preffered travelling style, there is a wealth of realistic information to please everyone, from backpackers to luxury seekers alike. You will find this book invaluable; don't leave home without it. As a producer researching filming locations throughout the Pacific Basin, I have found David Stanley's Moon Handbooks guide to Tahiti and the Cook Islands to be of tremendous value. Having travelled extensively throughout the world, I've often had trouble finding guides that are thorough and accurate. In Stanley's book, I've found just that. Rich with historic, cultural and practical information, along with numerous illustrations and maps, Stanley provides his readers with all of the necessary and critical information required in order to get the most out of a travel experience. To anyone planning a trip to this region, I would highly recommend this book. 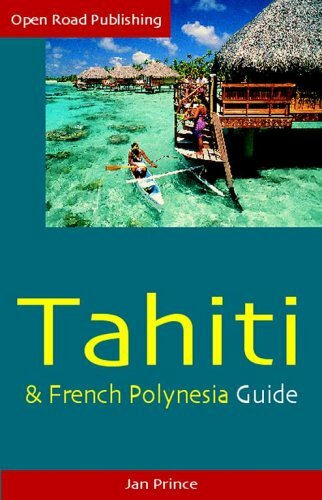 Comparing this guide with other guides for Tahiti, it's just great!!.. It's far more accurate then the others, but those others it's often plain bad. Most guides are correct about weather, currency, number of inhabittants etc. But when it comes to accomendations, guiding companies etc. it's a completely different story. I went to Nuku Hiva in the Marquesas Islands 3 years ago. I stayed at a pension which Stanely recomended. The pension was a joke and the owner was the sleaziest guy I come across my 5 weeks in the South Pacific. I asked Stanley after the trip if he had been at the pension which was not the case. This pension is still recommended in the last edition. Lucky for Stanley that very few tourists travel to Nuku Hiva.. It's just incredibil, that's not possible to trust the correctnes of infor- mation from a guy who has been travelling in the South Pacific for 20-30 years. 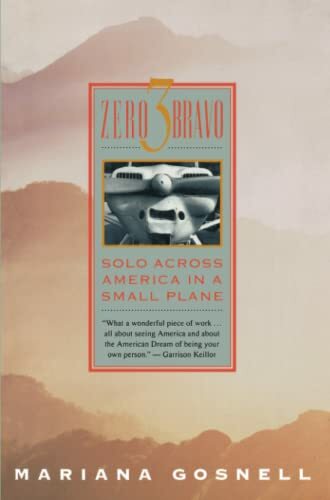 Mariana Gosnell takes the reader along on her extraordinary voyage across the U.S. in her single-engine Luscombe Silvaire, Zero Three Bravo. Enticed by the ribbon of sky that she could see from her Manhattan office window, she took a leave of absence from her job and made a three-month solo flight, navigating by use of landmarks and landing in America's little-known, back-country airports. She traveled south from her home airport of Spring Valley, New York, down to North Carolina and Georgia, west across Texas to Los Angeles and north to San Francisco, and then east over the Rockies, the plains, and the farms of the Midwest until she was back home. What results is a lyrical description of land, sky, and water interwoven with experiences among small-town folks, maverick crop-dusters, banner towers, mechanics, and airport loiterers. With each landing there is a story to be told: the deaf-mute pilot who grounded himself until the eggs in the bird's nest lodged in his plane's engine had hatched, the woman running an airport by herself after losing both her husband and son to flying accidents, and the pilots and "hangar bums" who tried to hide their surprise when they saw a woman pilot flying cross-country solo. A well written gift to all who love to fly. From her preflight musings in the office to her final landing at Spring Valley, her story is never old or cliche. The highs and lows of cross country flying are told in beautiful detail. Each page tells a tale, and paints a vivid and colorful portrait of an America that few of us get to see or experience. If you love flying, or are just curious about what it feels like to fly, this book is as close as you can get outside of the cockpit. Ms. Gosnell offers us a wonderful extended visit with the great variety and unique personalities that populate the small general aviation airports of America. As a pilot who usually flies at bigger, less personal airports; I'm reminded of my experiences at the smaller fields I've visited where love of flying is more important than profit and people are truly unique. While the flying descriptions are well done and accurate, this book is really about the journey and the people and events encountered along the way. The book is for everyone, not just pilots. I'm going to pull out my charts and re-visit some of those small fields I usually just fly over! The author presents us with a lovely world of flying from place to place in her airplane. The anecdotes are well-limned, the sentiments carefully expressed, the philosophies true. I've used many Lonely Planet (LP) guides and found this one to be lacking their usual detail. I got the sense much hotel information was pilfered from Web surfing the basic info, rather than first-person investigation. While still a good book to take, next time (and there will be a next time because Tahiti is wonderful) I'll be sure take another guide along with it, and to thoroughly read actual travelers' online reviews. I'll also know the questions I need to ask before booking. My sense was that the reviewers weren't seeing things through the fresh-eyes of a first time traveler. The details, such as directions accommodation features were often lacking. One thing I've always liked about LP is that they will list small locally owned budget places - that are occasionally hidden gems - whereas many other guides only list "approved" chain-type accommodations. However, in this book key information about lodging was missing. For example, it's very uncommon to find window screens in Polynesia despite a lot of mosquitoes, yet it is not standard for the book to say if there are screens or mosquito netting at each location (sometimes there are neither). Screens would be a big selling point for me. In Lonely Planet's India guide - which I was quite happy with - they deliberately note whether hotels have air-conditioning or not; in this guide this rather important information (for the tropics) is randomly added. Sometimes we'd get there and they'd have AC and sometimes they wouldn't. A more specific example is a pension primarily described as "friendly" - which it was in spades - with no mention that there's one bathroom shared with 8 people and that doesn't have hot water. With what prices are in Tahiti, poor information is very costly. One "resort" (our over-water bungalow splurge) was merely described as "competitive with other luxury resorts." Come to find out it had bedbugs and no air-conditioning. If level of detail can be evidenced by pages numbers, note that LP's Hawaii guide (five main islands) is 615 pages, while their Tahiti guide (50+ islands/atolls, with ten commonly traveled) is a only 287 pages. This book did a wonderful job of not only preparing us for the journey, but help us get around. We have now been there three times to three difference islands, and each time it preformed well. Although with all travel books they get out to date in a year or two, you should always call a head to verify critical information. This book is very comprehensive. It will help you find all of the places you want to go, and will give you an overview of what to expect. Some of the items could have been a little more detailed though. Directions were OK. Luckily the islands are easy to get around. We found the combination of this book, Jan Prince's book, and the Moon book to be the perfect combination for our trip in November of 1998. Read more about our trip and how we used these books at DiveAtlas.com. This review replaces the out of date one that already exists. Was it really only a bad dream? Discover New Zealand's compact kaleidoscope of landscapes  amble along white-sand beaches, weave between steaming volcanoes or step onto chiseled mountains.Let your feet be led by this comprehensive tramping guide. This edition is far better than the previous editions. It's new organization and additional information sections are a marked improvement. A new section on Flora and Fauna gives a highlight of any New Zealand tramp. This book acts as an excellent reference book while tramping. Of course, if the book contained every piece of required information, (i.e. highly detailed maps and every step of the way instructions) it would require 1000's of pages. The authors surmount that difficulty by including instructions on how to obtain additional necessary information. 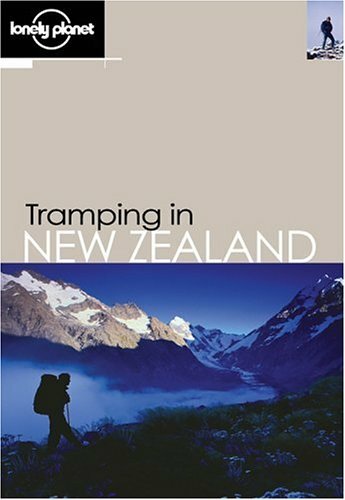 The book is perfect for those that are looking into or planning a backpacking trek to New Zealand. Since the first screening of The Lord of the Rings: The Fellowship of the Ring in 2001, New Zealand has become the embodiment of "Middle-earth" to millions of moviegoers the world over. 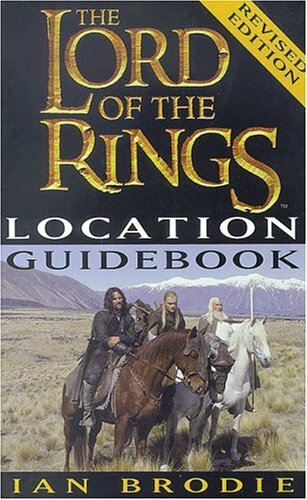 This definitive guidebook showcases the principal movie-set locations around New Zealand as seen in all three films. Ian Brodie's guide enables fans of Peter Jackson's cinematic masterpiece to experience their own unique insight into the magic and complexity of Middle-earth. Produced with the full cooperation of New Line Productions, Inc., he presents a comprehensive review of the movie locations, useful touring information including accommodation, food and entertainment suggestions, interviews with key cast and crew, and a foreword written by Peter Jackson. Plan the Ultimate New Zealand Lord of the Rings experience! The Good: During June/July of 2003 I had the unbelievable opportunity to spend 6 weeks exploring New Zealand (this was before the revision of the book to include the Return of the King locations). As a lover of Tolkien and the LOTR movies I knew I could not miss seeing some of the filming locations used to portray 'Middle-Earth.' Ian Brodie's location guide is a godsend! I do strongly recommend renting a 4WD vehicle - the best locations are way off the beaten path and there is no other way to get to them! 1) Visit the remains of the Hobbiton set in Matamata. Even without the remaining Hobbit hole facades, this lush green country is instantly recognizable as the Shire. To walk up the same stone steps at Bag End that Gandalf climbed is unbelievable. If you're lucky, you'll get one of the Alexander brothers as your guide! 2) Do not miss the opportunity to reenact the "get of the road" hobbit sequence on Mt Victoria. We had a bit of trouble finding the spot as much of the smaller brush and shrubbery had recently been trimmed, but once you're there you will recognize the location (focus on finding the older tree growth)! 3) Spend some time in Kaitoke Regional Park - aside from the lush vegetation you won't recognize anything directly from the movie, but the park is gorgeous and offers several walking trails. 1) You MUST make the trek out to Erewhon/Mt Sunday. This was one of the best days of my trip. It is a long unpaved road and an endless drive deep into what seems like the middle of nowhere, but very much worth it! Mt Sunday/Edoras is instantly recognizable and you'll hardly notice that Meduseld isn't still standing there in all its glory. The Rangitata Valley is immense and breathtaking. There simply aren't words to describe the experience. Oh yeah, and it really is windy! 2) Queenstown, Queenstown, Queenstown! Do not short yourself on time in this adventure capital of New Zealand! You will recognize the Remarkables, overlooking Queenstown, from the movie immediately - they were used in many landscape shots in the film. Deer Park Heights is amazing - the LOTR locations are labelled with small guide markers, but also take your time to enjoy the animals roaming the preserve! When you find the tiny mountain tarn Peter Jackson used to film the refugees escaping Rohan you will truly come to understand this man's genius and vision! One of the Glenorchy Dart River safaris out of Queenstown is the best way to see the Isenguard location! 3) The second greatest day of my New Zealand trip was yet another long unpaved drive to the Mavora Lakes. I can't stress 4WD, common sense, and following speed signs in unpaved locations enough here - going slightly too fast at a road bend, we did at one point lose traction and drive staight off the road. Nonetheless, this worthwhile drive hits several locations. Without a GPS device, you'll find the burning Orc hill/Fangorn Forest location easiest by lining up the mountains to the forest looking for the matching movie shot. Hop the fence (watch out for sheep poo) and take the easy walk up to the hill. Reenact Aragorn's "a hobbit lay here and another here" sequence. Highly amusing after the long drive! Keep on driving (and do not mistake South Mavora Lake which you'll pass first for North Mavora) and you'll eventually get to the location used for Nen Hithoel. The waters where Sam nearly drowned trying to swim to Frodo are indeed cold! The fallen tree where Merry and Pippin hide is easily recognized, as is the tree Frodo hides behind - it is less that 10 feet away from the fallen Merry/Pippin tree. Don't let the prospect of getting a little dirty deter you from crawling under the fallen tree and whispering "hide here"! The guide directions aren't the greatest, but just at the forest edge in the open parking area, stand with the lake parallel to your left and these film locations are close by at the top of the ridge in the 2 o'clock direction. Personal rant to follow! Please do not stray too far into the forest - there is no trail to follow and the forest here is so dense that you could quite easily become lost/disoriented! As a word of warning - at one point in our search my friend and I were separated by only 20 to 30 feet and we could not see each other let alone the lake or parking area. Even though this is no more than a quick climb up a hill, be smart (we did find the car in case you were wondering) - as a precaution bring a daypack/backpack with drinking water for two days (for each person in your party), a small amount of food, and winter warm clothing even if the weather is hot. In the event that you do become lost, don't panic, don't run/rush, and at a calm walk DON'T WANDER FOR MORE THAN 5 MINUTES thinking that you'll find your way out (the average person who wanders for 15 minutes will have walked a mile) - stay put, settle in, and wait to be found. Whether you're going alone or with others - tell someone at your hostel/hotel that if you do not check in with them by a certain hour they should notify authorities of your location - by doing this, someone will find you if the worst case scenario does occur! The same goes for any location you are heading to that is off the beaten track! LOTR draws people from all walks of life, and hopefully those without outdoors experience/knowledge wishing to explore 'Middle-Earth' will stay safe in these wonderful locations! The Bad: The only drawback to this book is that I didn't bring GPS equipment and thus sometimes found the directions to locations slightly vague - nonetheless, the directions do offer enough information to find the locations! The Ugly: This last comment in no way relates to the book! If you're going to this fantastic country simply to see LOTR filming locations, I promise that you are missing out on what could be one of the greatest experiences of your life. Yes, go to see 'Middle-Earth' but do not forget the rest of New Zealand! This excellent and indispensable guide is thoroughly researched, richly illustrated with photographs, and well written. But while it is an essential book for anyone planning a visit to Middle Earth, it is handicapped by one glaring omission: though several maps are provided, none adequately indicate the locations of Middle Earth's features. This is frustrating for anyone who wishes to use the book as a travel guide (though it is always possible to sort out locations by using the text and the limited maps provided) and a serious drawback for the armchair traveler who just wants to get a sense of how Middle Earth maps onto New Zealand. Be sure to get the "Revised Edition". It has been interesting reading the reviews of my book. As a Tolkien fan for the last 32 years I wanted people to enjoy the scenery of New Zealand as it relates to Middle-earth. Certainly there are more than 3 locations easily accessible. In fact, 90% of the locations listed in this book are accessible by car. There are very few (about 6) that are only helicopter accessible. The GPS co-ordinates are listed to enable some fans to find the exact spots. They have been checked to within 5 metre accuracy. 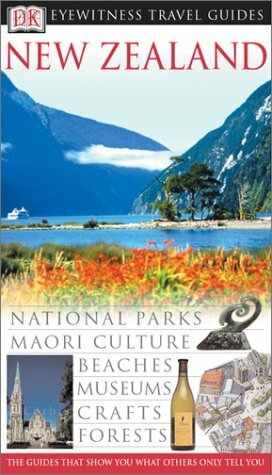 The book is not intended as a travel guide to NZ, hence the sparseness of maps. I would recommend any visitor purchasing a good NZ atlas as well. My major disappointment with this book is the small pictures - but the book is a guide to allow people to pit it in glove-boxes or backpacks. A much larger coffee-table version will be released later this year with more pages and much bigger pictures. With something approaching 100,000 copies in print this is one of the all time best-selling NZ books. Probably the publisher didn't expect it to be the sales success it has been otherwise more money would have been spent on it. The pictures are all there but they are are small. A bigger page format would have done them and the beatiful scenery justice. It's nice to know where the scenes were filmed, but don't expect to recognise the settings in the film instantly as there was a heap of digital manipulation done and a standard requirement of their getting permission to use the locations was that everything look the same after they had finished. I haven't been on one of the guided tours but I think that would be the best way to go, rather than use this book as a self guide.